What many scholars and scientists have been debating over since decades is being proved by prehistoric cavemen. 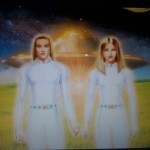 We are talking of the existence of aliens and UFOs. 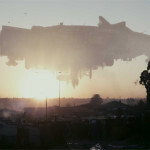 Mainstream scientists do not agree in their existence, and as per UFO enthusiasts and proponents of ancient astronaut theory they exist and have been visiting us since ancient times. 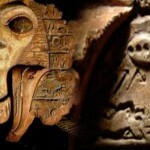 There are many instances of cave drawings that bear images of what is called UFOs and aliens. 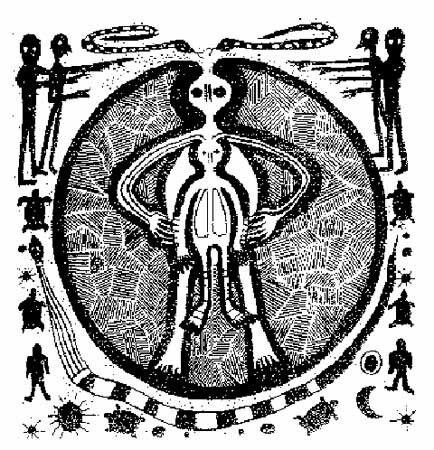 It is believed that prehistoric caveman used to draw whatever he used to see, hence the existences of the images of UFOs and aliens in the various cave drawings certainly prove that aliens and UFOs are not the yield of creative minds only. 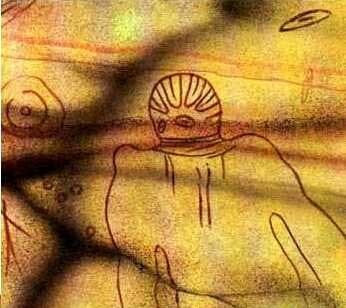 (1) Cave drawings at Val Camonica in Italy that dates back to circa 10,000 BC depicts two humanoids wearing some type of protective clothing that resembles modern day spacesuits. 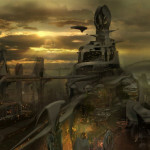 One of the figures is holding another one while there are other images of alien like structures in the borders of the drawing. (2) What looks exactly an outline diagram of a spaceship as seen in sci-fi movies is actually a cave drawing that is found in the Niaux caves of France. This Paleolithic cave painting was drawn some time between 13,000 B.C. and 10,000 B.C. (3) The drawings in the cave of Pech Merle near Le Cabrerets in France depict a field of different wild animals, amidst which there is a strange looking humanoid structure that has limbs and a tail as well. There is no reason to believe that this figure was imaginative as all the other animals seen in the drawing can be recognized. 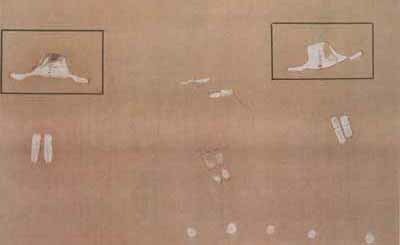 Three flying objects are also seen in this drawing that was drawn about 17000 to 19000 years ago. (4) Several disc shaped objects are seen in the cave drawings of Itolo, in Tanzania that dates back to 27,000BC. 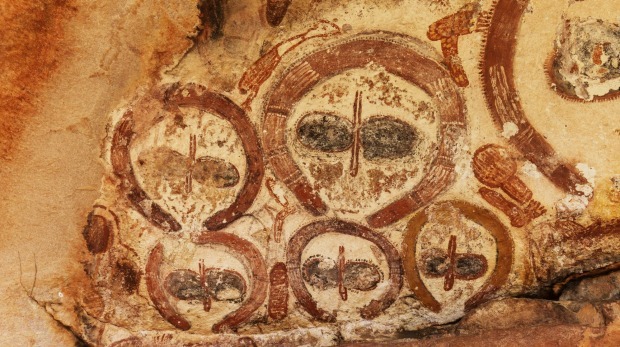 These objects that certainly look flying in the drawing resembles the modern day flying saucers so much that one would be mistaken that some mischievous school boy must have painted it on the cave walls. 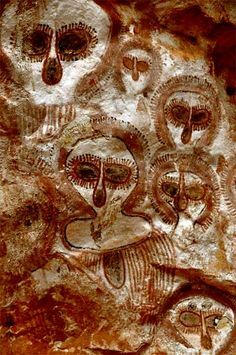 (5) The cave painting from Tassili in Sahara desert of North Africa bears images of figures which look more like aliens than humans. The figures are drawn with headgears that resemble modern day spacesuit’s headgear. 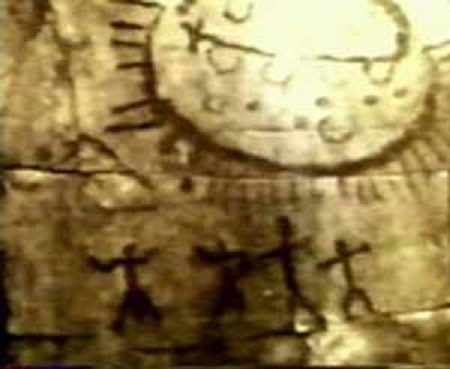 A flying disk is also seen in the sky in this cave drawing that was drawn somewhere around 6000 B.C. 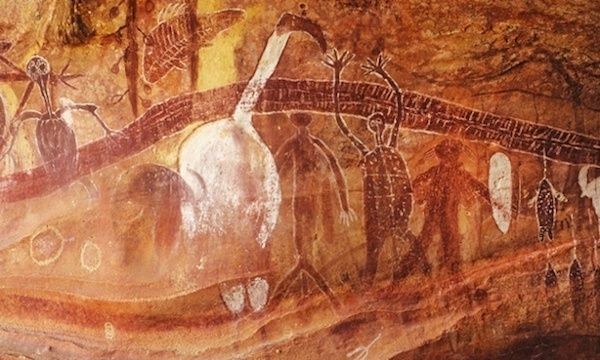 (6) Cave drawings of Kimberly, Australia which were drawn about 5,000 years ago depict a group of alien looking beings with large bulging eyes and missing lips. Some of the images have a head gear as well that looks like a space helmet. 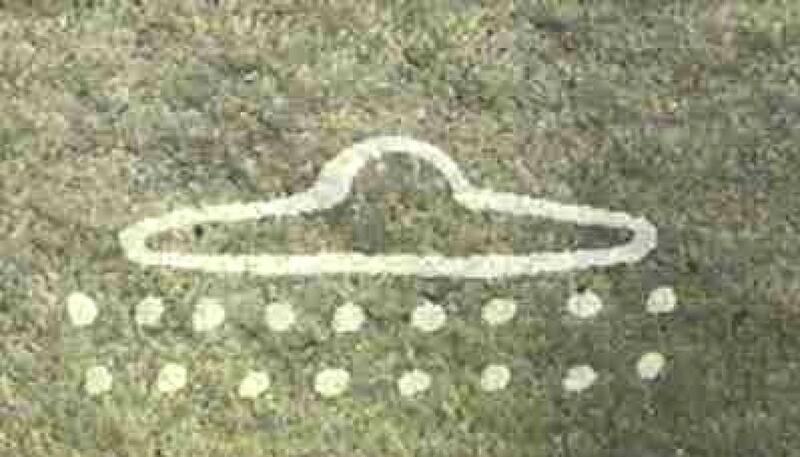 (7) Rock paintings depicting aliens and UFOs are found in the state of Chhattisgarh of India as well. These paintings which are about 10,000 years old depict humanoid figures that do not have nose or lips and are characterized by large bulging eyes only. 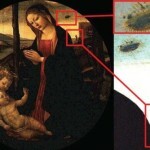 Some sort of craft with three stands is also seen in these paintings which can be nothing but UFOs or alien spacecrafts. (8) Strange creatures with tentacles and disproportionate limbs are found in the cave drawings of Cape York that dates back to about 20,000 B.C. There are various such images, some of which resemble an ant like man, just as you would have read in some of the alien abduction stories. (9) The cave drawings of Sego Canyon in Utah USA bears many strange looking creatures which have little resemblance to any earthly bring. Large eyes and missing limbs of the creatures would certainly remind you of visitors from the outer space. 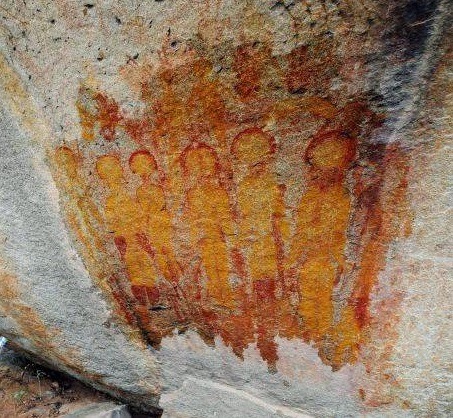 These paintings are found to be 7,500 years old. (10) Four figures can be seen with extended arms looking towards a large oval flying object in a 5,000 years old cave painting which is found in Queretaro, Mexico. There are beams of radiations seen coming from the flying oval object which gives the impression that the object is nothing but an UFO.